Marriage is something that isn’t perfect. As a matter of fact, most of your married life will be filled with trials and tribulations. You’ll encounter a lot of difficulty as you try to make your marriage work. There will also be some times when you just want to give up on your partner and call it a day. It would you no good to entertain these thoughts because every marriage is worth fighting for. You just need to be reminded of the love you have for one another to help you fight on for your spouse and your family. If you go ahead and keep this in mind, there’s no challenge you won’t overcome. A good way to strengthen your love is to always remind each other why you got married in the first place. The pictures from your wedding will serve as a reminder of your special day. These images, especially the wedding portraits, will be really useful in keeping your love strong and firm for the years to come. Of course, it also helps if your wedding venue is beautiful and captivating. The scenery alone will capture your attention and lead them to relieving this great day. It was 2001- I had just started photography school at the Brooks Institute of Photography; Valeska had just moved to Santa Barbara from Germany with her boyfriend, Jonas, who was also attending Brooks. Jonas and I had classes together and became friends and I first met Valeska through him. Valeska and I quickly became buddies and started taking walks on the beach together with Cheyenne. Valeska was my favorite go-to model at the time whenever I needed someone to help me with a school project. It turned out we also had another friend/couple in common and our history would keep us connected over the years. My old boss turned BFF knew Valeska too and between the two of them, I have been returning to Santa Barbara every year since I left. The first time I met Nelson, I instantly loved him! He is funny and talented and sweet and smart and warm and silly…I could go on… but really it’s all just to say that I knew right away that Valeska had found her #1 man. 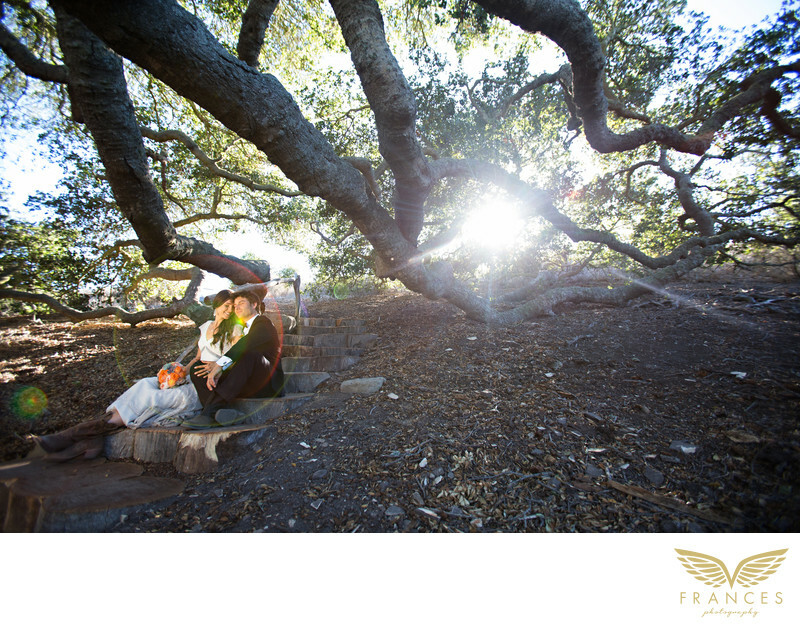 Their wedding ceremony and reception were hosted at Orella Ranch on a beautiful, (albeit, hot! ), day where a family from Germany and a family from Alaska came together on the mountain top to celebrate the union of their common thread. My incredibly talented friend, Jessica Van Pelt, drove up from San Diego to photograph with me (THANK YOU JESS!!!!!) and we had an amazing time and were able to capture some of the most beautiful moments. Location: 12750 Calle Real Goleta, California.